Pramiraceram's parent compound is Piracetam, is approximately 1000 times more potent and is regarded as one of the strongest nootropic supplements available. It is sold under the brand names Remen, Neupramir, and Pramistar. In the United States it has not been approved for any medical use although researchers have considered that it may be useful in treating memory loss among those with neurodegenerative disorders and brain injury. Its primary mechanism involves increasing acetylcholine levels in the Hippocampus- the part of the brain responsible for memory formation and retrieval, thus in turn, enhancing one's cognitive function. Moreover, the enhanced blood flow to the brain causes improved concentration and focus, and faster mental processing. 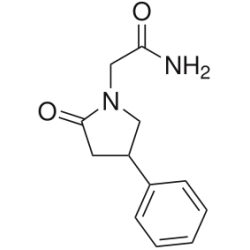 Phenylpiracetam is derived from its parent compound Piracetam but with the addition of a Phenyl ring thus making it easier to cross the blood-brain barrier. It is believed to be 30-60 times more potent than Piracetam and was created in the early 1980s in Russia where it is still used as a prescription medication. It is regarded as a stimulant and has been documented as having the potential to improve athletic performance due to increased Noradrenaline levels. It is considered to help improve brain injuries and reduces amnesia. Moreover, it has a low potential for abuse and is unregulated in the United States. An interesting effect of this drug is that it increases a person's ability to handle extreme temperatures. The most notable side effect of Pramiracetam is headaches. However, it can be easily eliminated with the addition of Choline. 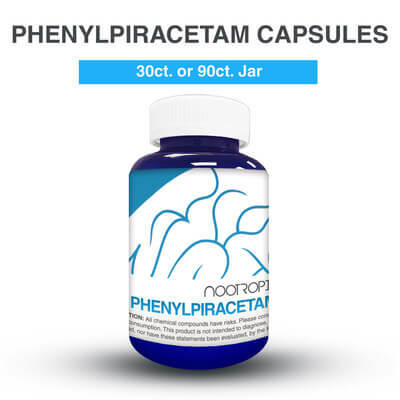 The most notable side effect of Phenylpiracetam is headaches. However, it can be easily eliminated with the addition of Choline.